There are things we can't undo, which are already clear. From the formula Tsvangirai used to pick his successor it is now clear that that Tsvangirai played his cards close to his chest, and he is managing his exit very strategic and tactful. He hasn't announced his preferred successor but one can easily tell that here is Tsvangirai's preferred successor. From the onset look of things there is already power vacuum in main opposition movement. The visit by ED last week exposed the ailing leader who has been in the political oblivion. Whatever political dynamics we have it is clear that MDC is either heading for a split or elective congress. Chances of an elective congress are slim given the node that there are already some strong disagreements within the top brass. The elevation of Tsvangirai's deputies, Chamisa and Mudzuri created some fissures within the opposition movement. What Tsvangirai managed to do is to inform the whole world that here is my succession plan in the form of three deputies. There are high chances that Tsvangirai's successor is going to come from the three deputies. Chamisa is very sharp, well articulate, intelligent and strategic. If you check very well how he rose to prominence, he is a quite promising guy given with time he can do his best. Chamisa enjoys massive support within and outside Mdc structures. If Mdc splits, Chamisa may go with a big chunk because of the support he enjoys within and outside the MDC. If you have a critical analysis very well you may find that he is the only guy who managed to rise in Mdc structures in a strategic way. Chamisa is gifted, he is orator, and even Mugabe was uncomfortable with his presence in the opposition movement. If you remember very history will tell you that his closeness with Tsvangirai created so many enemies for him during the struggle. He is educated, and he is already one of the youngest advocates we have in Zimbabwe. 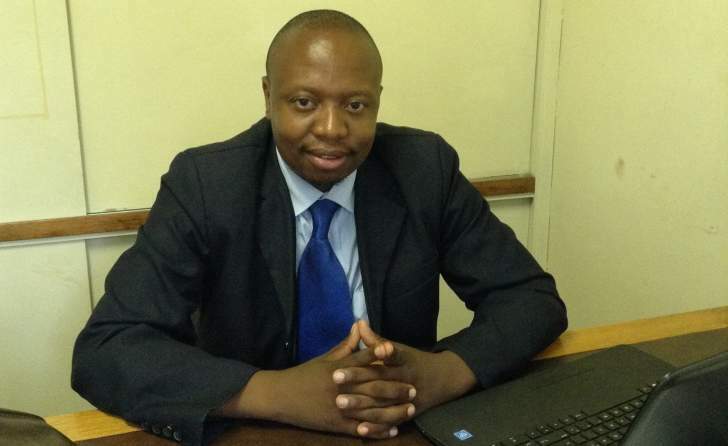 Tsvangirai trusted this young man to an extend of giving him powerful responsibilities like chairing alliance meetings, assigning him crucial assignments, of late he has been in US. Recently Tsvangirai gave him the responsibility to select candidates country wide and such gestures clearly shows that he could be tipped to be Tsvangirai's successor. Age is on his side, he will be turning 40 this month, and most of the top Mdc hawks are not comfortable with Chamisa being close to Tsvangirai. His main challenge will be, convincing the same structures that denied him the SG position during the run up 2014 elective congress. If you remember very well it was the issue of 2013 elections which Mdc lost to Zanu PF and blame is given to Chamisa. So the idea will be to convince the same people. His main weapon is the loyalty to the Mdc leader. Chamisa is also a good and sound lawyer and this can be an advantage to him as well. If you remember very well his tenure during the GNU, he was named as one of the best performing ministers and he made a name during that time. Thokozani Khupe is a very good leader, educated and she wields some power from Matabeleland. She stands also a good chance to succeed Tsvangirai. She holds a PHD and she is well articulate. Her main challenge will be, Zimbabwe is not yet prepared for a female President, and secondly she is also carrying a tribal tag in the context of Mdc leadership. She has been in the struggle for a long time, but her main challenge is ethnic and tribal balance. The other thing which will also affect her is the issue of squabbles with the Mdc leader before. Though she has been consistent in politics, but she once clashed with Tsvangirai on the issue of Mdc alliance and at the same time, the issue of Matabeleland chairman which Tsvangirai reversed himself. This can also cost her during the race for presidency. Khupe created a lot of enemies when she personally clashed with Tsvangirai over the modalities of the alliance and many will view her as anti-progress and this can damage her image ahead of Mdc elective congress. Her only weapon will be to allow her to act as the Mdc President until elective congress and this will give her enough time to consolidate her power of which other contenders will not allow her to do that. Mudzuri is a good leader ,very intelligent but lacks the political clout required to stand for Presidency. In fact Mudzuri could be the right person for now but his major challenge will be the clout to occupy the office of the President. Honestly no one in the Mdc can match the Tsvangirai brand. Tsvangirai had his own style of politics. Mudzuri is educated and he has the experience in politics. He is one of the major contenders who does not have any faction. He has lesser enemies than Khupe and Chamisa. Khupe and Chamisa created so many enemies within Mdc structures. He was one the best mayors that Zimbabwe have ever heard but his very cool and neutral. He does not command a large following within the Mdc structures unlike Chamisa and Khupe. Mwonzora is one of the few remaining legal brains in the Mdc movement. He has been standing for the party during hard times when it was facing so many legal battles. One of his main challenge would be the issue of political clout. He is not yet established in politics unlike Chamisa and Khupe. Mwonzora won the SG post mainly because of the support he received from Tsvangirai. If you remember very well, it was Mwonzora who proposed to have the SG post amended at congress so that most of the powers be given to Tsvangirai. Tsvangirai was of the idea that most of the splits in the past were caused by powerful secretary Generals, and this caused friction with office of the President. Chamisa was against the idea, and because of that Tsvangirai did not support Chamisa, and he sacrificed Chamisa on the SG portfolio which gave rise to Mwonzora. If you remember very well, Mwonzora was only nominated by two provinces and the rest of all the provinces nominated Chamisa for SG. Mwonzora has not been in the movement for a long time and this can be a disadvantage to him as well if he decides to run for Presidency. Komichi is a well experienced guy in politics. He is very cool, steady and mature. He is one of the most mature people in Tsvangirai movement. He is well established and educated. His main challenge as well is the issue of balanced politics. He does not have the charisma and clout to stand. He can be a very good Secretary General. He wields a lot of support especially in Mdc structures. He is a promising guy who can do very well especially in strategic areas of governance. He also holds a good Masters degree from Zimbabwe Open University. His brand is sellable and still good. Though Tsvangirai is sick but he still commands a lot of support within and outside Mdc structures. For those who are aspiring to lead the movement must be careful on how they manage their ambitions. Even when he is ailing, he still has the strength to chair meetings and he can still mess up for someone. It is about Tsvangirai and Tsvangirai alone given the node that there is an elective congress within the Mdc movement, it is high likely that most people will vote for Tsvangirai's preferred successor. The dynamics of Mdc politics is all about Tsvangirai brand and loyalty. It is Tsvangirai who will have the final say. If you look very well into this, it is highly unlikely that Khupe will succeed Tsvangirai, if you have been following the events in Tsvangirai's party you can easily tell that by appointing Mudzuri as the acting President and Chamisa as the Leader of Mdc alliance is clear that either the two will lead the party in the event that Tsvangirai is already incapacitated. If you have a critical analysis in the MDC movement you can easily assess that most of the guys who do not belong to any faction have nothing to lose and they are not worried about anything. People like Komichi, Mudzuri they don't have any factions and they are neutral and they may stand to benefit in the event that the constituency decides to go for people who don't have any factions. Khupe, Gutu and Mwonzora belong to one given faction and Chamisa on the other hand belongs to another faction so Khupe and Chamisa have more enemies than Komichi and Mudzuri. Politics is at play and it is about game of numbers.